Powered by a totally new movement, the Tissot Tradition G15.561 is the brand’s first ever analogue perpetual calendar timepiece. Its perpetual calendar facility will operate without any adjustment necessary for the entire 21st century, automatically taking leap years in its stride. 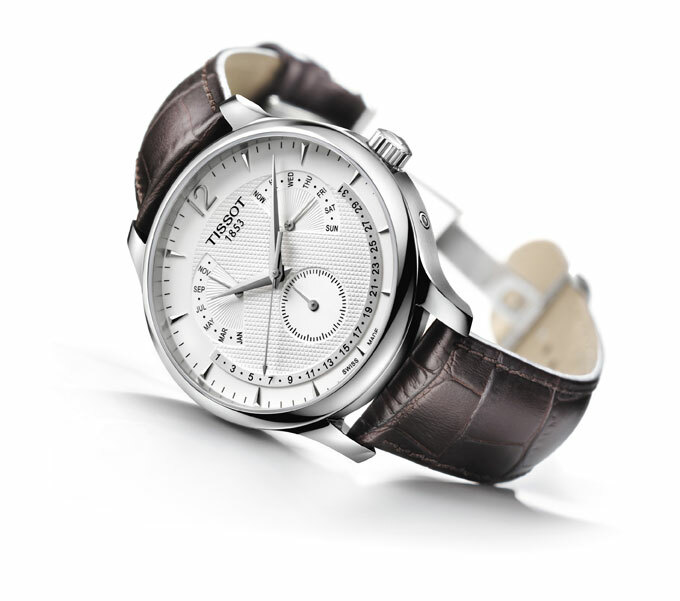 The new Tissot Tradition collection sets new standards in harmoniously marrying ultra-modern and nostalgic elements. High-tech operation is clothed in contemporary materials to create a vintage look, rooted in details such as guilloche decoration and a gently curved case. Complementing the elegant appearance is excellent wearer comfort due to a slender, contoured form. These timepieces offer levels of quality and finesse that are otherwise unknown in their price segment. There are several watches making up the 2011 Tissot Tradition range – both chronographs and Gent models with three-hand mechanisms. Dial colours of anthracite, silver and black act as signatures of suave style and confirm that the timepieces were designed with today and tomorrow in mind. Fine detail on the dials remind of the inspirations provided by yesterday, as do the classical stainless steel and leather attachments. Traditionalists not willing to compromise on performance and style, yet drawn to novelties, will feel totally at home with a Tissot Tradition. Price: Rs.19,900. 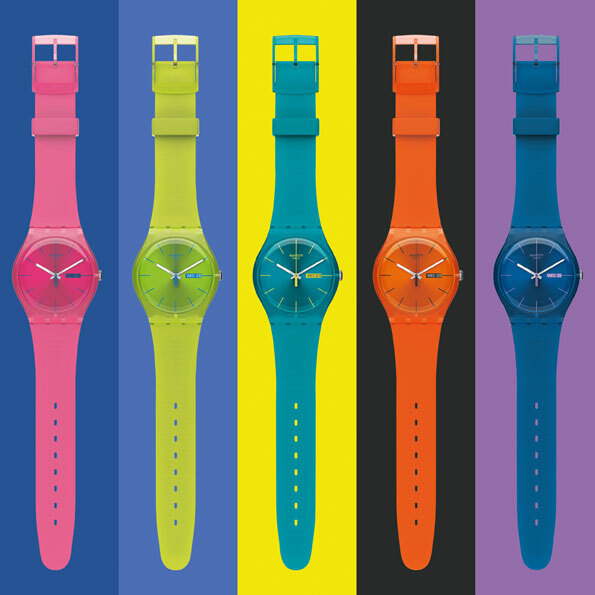 Swatch continues its fun-filled celebration of colour with new Gent Coloured Collection, comprising five trendy new colours of the—pink, dark blue, light-blue, green and orange. Plastic is the ultimate Swatch material, and these New Gents feature big, transparent coloured plastic cases, with sun-brushed dials and rugged silicone straps in the same five colours. Price: Rs 2950. This entry was posted on April 12, 2011 at 10:57 am and is filed under Available in India, Men's Watch. You can subscribe via RSS 2.0 feed to this post's comments.